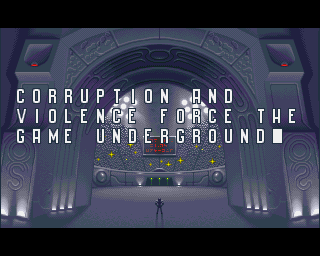 Probably one of the most fun games ever made and a flagship for the Commodore Amiga which as far as many are concerned was the definitive version, which boasted superb graphics and excellent sound. It certainly ranks as one of my favourite games of all time even though I never actually owned it myself, apart from the Commodore 64 version which didn't really manage to unscrew the lid of the jar, nevermind cutting the mustard. And as any aficionado would say: "Ice Cream!" 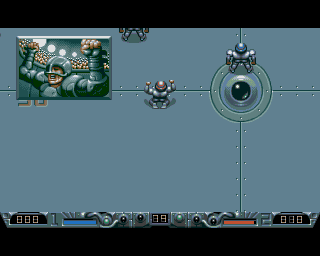 Featuring world class Bitmap Brother level trademark graphics, Speedball 2 sported an amazing atmosphere and top quality of design throughout. The screen intro was spectacular, the metallic arena is a graphic artists produce in virtuosism and the players were carefully and beautifully designed. The panel for transfers, upgrades and tactics could easily be inside a Ferrari or a Lamborghini so classy is the design, even the score bar at the bottom of the screen is a sight for the eye to behold. The sound is flawless. Both the soundtrack, an electronic industrialised masterpiece, and the in game sound effects are superb. The clunk of the metallic ball with the metallic walls of the arena, the tacklings, the fantastic announcer voice and the humorous voice that sells ice creams during the best replays, all contribute to a fantastic atmosphere that just oozes all over the frantic gameplay. 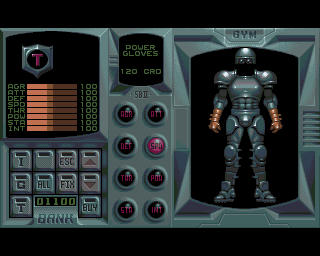 And gameplay is where Speedball also excels. 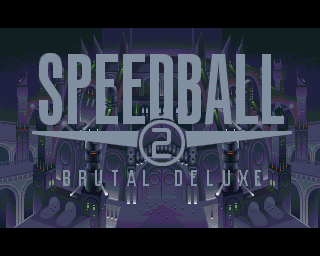 It probably wouldn't be incorrect to label Speedball 2 the best Amiga game ever, or even one of the best games ever, because, quite simply, it might very well be. Played against the computer or a friend, the gameplay is nothing short of amazing, frantic, spectacular and aggressive action. 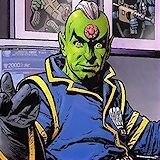 You're called to command and\or play a Team in the sport of Speedball, a futuristic violence gladiator styled team sport that is played on metallic coliseums. Scoring a goal will wield points, as well as injuring other team players, and catching and\or hitting the myriads of bonuses splattered all over the arena. If you never played this game, you risk not having played one if not the best game ever produced on a computer.